Many of us have endured the narcissist smear campaign. 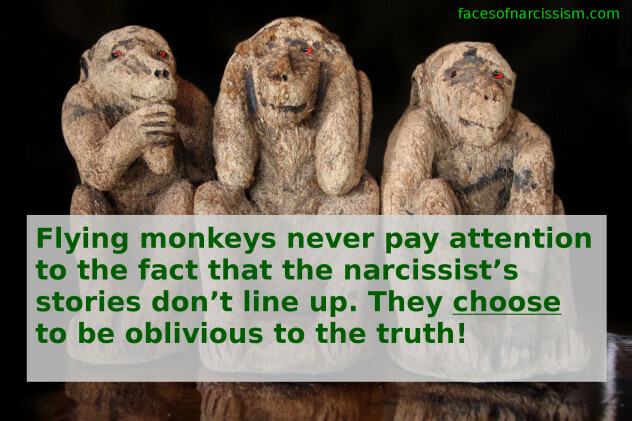 The abuser goes around projecting his or her own behavior on to us, playing victim, and trashing us to anyone who will listen in an effort to distract others from hearing the truth that we KNOW about the narc. And it works pretty well. Most people just believe what the charming narcissist tells them, and the narcissist can totally re-invent and create a false reputation for us. But at the same time, even when the narc isn’t lying about us, he is on a major public image campaign for himself. My ex narcopath was always very outgoing, and he was always on the lookout for new targets and supply, but his activity increased significantly after I started exposing the truth about his sociopathic ways. See, most of the people who knew him casually had NO clue what kind of legal and work trouble he was constantly getting into, but I have a stack of hard evidence showing a bad history of anti-social behavior, arrests, traffic violence, and more. Oddly enough, the narcopath is so charming, that very few people would believe the evidence if they saw it! Usually, the narcopath is very strictly in a certain political group and he argues and fights with the other side; however, after I escaped, he started schmoozing anyone he could find. He started adding hundreds of people as Facebook friends. He started talking to people he normally despised. He looked to fool and “mend bridges” with his previous victims. He became a monster on a mission to show off how great he is, so that when he lied about me, people would see his act and believe him. These days, he doesn’t tell quite as many lies about me, but his image boosting campaign is in full swing. Unfortunately, he and I have casual common acquaintances. So pretty frequently, I see pictures of him with his new “friends.” They are all buddy buddy and so excited to meet each other. One of his new female friends gushes about how great he is. I sit here rolling my eyes because I know the truth, and I know what he’s doing. He is getting narcissistic supply and gaining enablers BIG time. They are pawns for his look-good campaign. He’d stab them in the back tomorrow and start violently abusing them the minute they didn’t serve his needs. He’s actually much like a politician. Since he pushes boundaries, he often has his hands on someone he just met–a narcissist trick to push false intimacy–or his arms around someone for a photo shoot. He pushes closeness and makes people feel like they really know him even though they have no clue. He smiles a fake smile and acts jovial and interesting. He literally travels around the country looking for social events where he can do this! It truly is a campaign. And just has with a dishonest politician, the audience sees the charm and buys the lie. He is now using his resources against me in my divorce. I need an unafraid attorney! He has stolen my identity ; the police will do nothing because he protected them , as an expert witness , technology related, and now he can get by with fraud! Read Splitting a book on divorcing disordered personalities. It’s a huge book that is also available on audible. I can send you it if you Google me and find my email address. I don’t want to put it up here and violate any rules. This book will not give you any false hope. The legal system is set up to serve the Disordered Personalities and the PDs know how t manipulate the system and you expertly. Being the victim of emotional abuse is terribly painful because you doubt yourself, and so doesn’t everyone else. There is a lot of bias in law enforcement, legal tribunals and even the psychiatric industry that demonizes the victim. One thing the Narcissists do that works well is turning the victim into a victimizer. The system likes to mitigate its potential liability by perpetuating the notion of mutual abuse. What DV experts understand is that this is not even a true dynamic. It can appear this way because at some point the victim gets frustrated and finds out enough about her situation that she feels impelled to defend herself. Baited and manipulated by her tormentor she becomes emotionally raw and her emotions will often become outside her control. The PD knows which buttons to push and when. Thre are a lot of attorneys out there who understand these issues on some primative level and exploit the situation for monetary gain. When seeking an attorney look for one who wants to resolve your case in a fair and civil fashion. Unless you have a complex financial situation and concerns that are very grim about custody, it’s not a bad idea to see the family law facilitators office and get referrals for an evaluator, an appointed mediator and immediate court order for child support. Mine makes “friends” by “predicting” things that impresses potential “friends”. Or saying stuff that will impress them like how their parents own a huge company, has tons of properties etc.